Jazz is ineffable and must be heard to really be understood. A fundamental element of jazz is improvisation so while rhythms and melodies can be identified, each performance is unique. 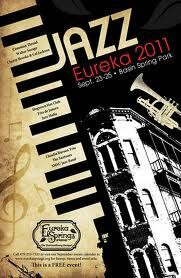 Of all the music genres out there, none fits Eureka Springs’ character better than jazz. Big jazz festivals like the ones in New York or Newport draw thousands of people and some of the biggest jazz artists but some believe that jazz is best appreciated in a more intimate setting. The Eureka Springs Jazzy Weekend feature artists like Ron Radford and Delfeayo Marsalis in the historic Auditorium while regional jazz musicians play for free in Basin Spring Park all weekend long. Jazz Weekend is typically held in September. 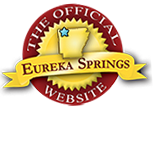 See the Official Eureka Springs Calendar of Events for details. Experience Eureka Springs during Jazzy Weekend and leave with a deeper appreciation of two difficult to define but easy to appreciate art forms. Find Eureka Springs accommodations while you discover jazz. Great shopping, dining and attractions are always nearby. Enjoy the other side of Eureka with great Eureka Springs nightlife. This entry was posted on August 22, 2012 by estcblog in Arts & Culture, Festivals, Fun Downtown, Musical Adventures, Things to Do and tagged Arkansas, downtown, Eureka Springs, historic downtown, jazz festival, Outdoor, Top 25 Arts Destination.